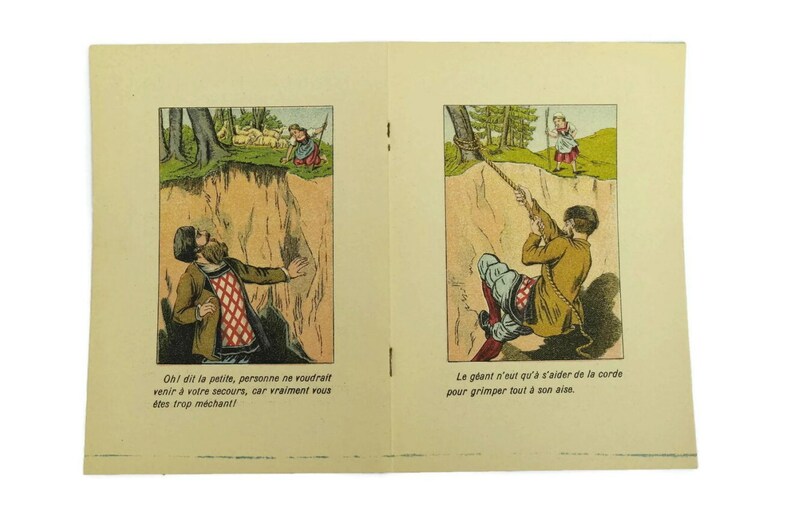 Story Book for Children. 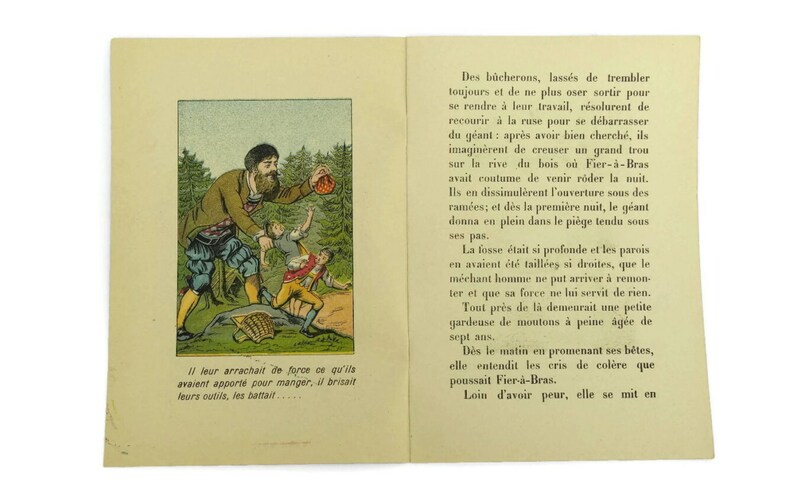 French Antique Folktale Pellerin Epinal print Illustrations. Serie A Le mechant Fier a bras. 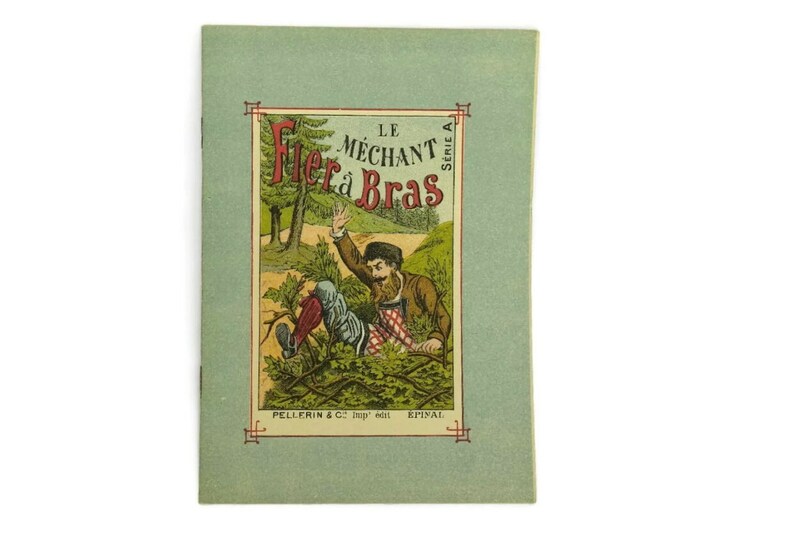 •	Title : Le méchant fier à bras (The Naughty swashbuckler). 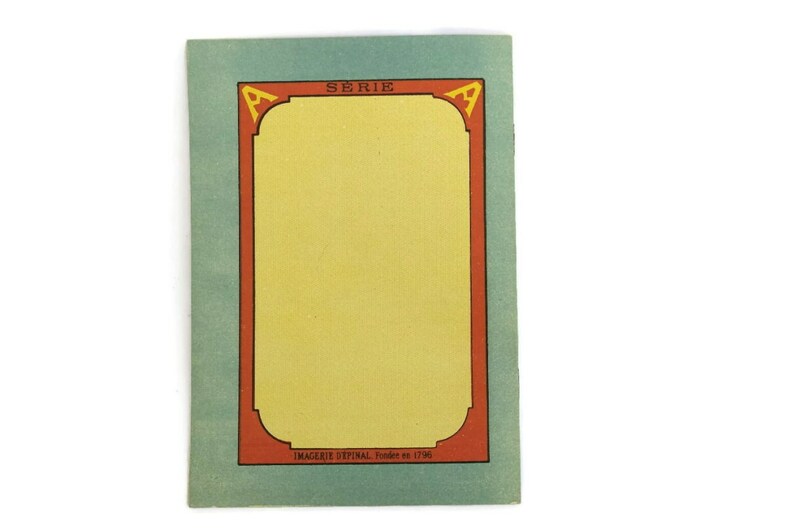 •	Interior has ten printed pages including the back of the covers. Item ref: Story Book for Children. 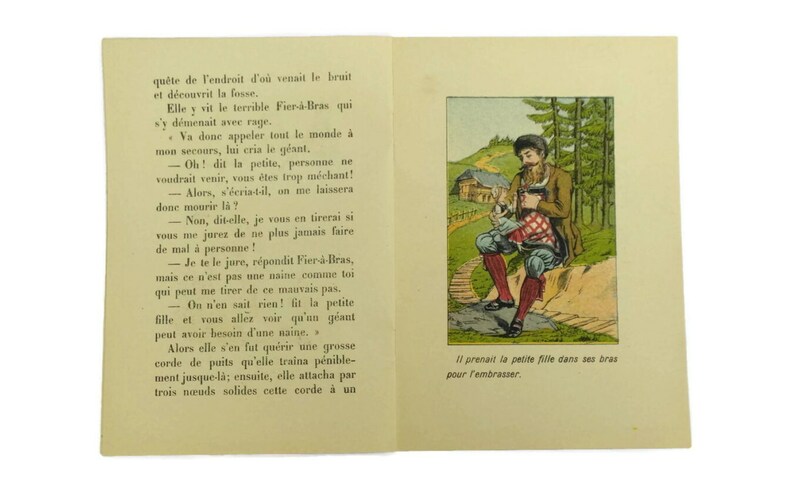 French Antique Folktale Pellerin Epinal print Illustrations. Serie A Le mechant Fier a bras.